Nearly a century old political tragedy brings two people together amidst events of a catastrophic magnitude. This is the setting of The White Countess (2005), a pure and genuinely beautiful love story, embroidered onto the distorted canvas of history. So many plots like this, developing at times of a crisis… The White Countess differs because it opens up a door into a very much unknown world for many. Russian émigré, nobility in exile, forced to abandon everything they knew and loved, and find a new existence, new purpose of life elsewhere. For too many families this meant painful separation, loss and even brutal death of their loved ones. And for many families today, this means an endless search for roots, collecting tidbits of data from archives of which large parts are missing. 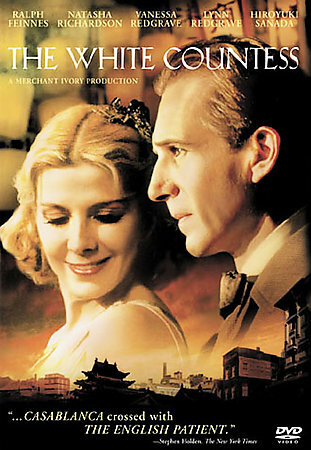 The White Countess is a heartwarming story of an incredible woman who lost everything and had to rely on her wits to make a living in nearly impossible conditions, and an American businessman with a challenging disability, wealthy and influential, wishing to fulfill his dream of a gentle creature from another world, a woman who becomes his soul mate. An exploration of human nature is perhaps the most exciting journey one can take, and the most unpredictable one. And that is in fact the essence of this film, and how for one lucky guy his longing becomes his reality.